If there is one man capable of thinking outside the box, it is Richard Mille. Often inspired by his famous clients, he loves to create new complications that often serve a very specific sport or activity. Such is also the case with his latest collaboration with Alain Prost. The four-time Formula One World Champion is now an avid cyclist, and that also sparked to novel complication in this new Richard Mille: The odometer. This allows avid cyclists to keep track of the distance they have cycled since the beginning of the season. With a pusher at two o’clock you can select any of the rollers of the odometer, which will then be highlighted by two yellow arrows. You can then advance them with another pusher at ten o’clock. Not only will the carry mechanism automatically block the roller when advanced, but the mechanism can also be placed in a neutral position when not in use, to avoid accidental changes in the odometer setting. The challenge with this unique complication is, apart from making it, that it also takes up considerable space. This leaves less space in the case for the movement itself. Richard Mille therefor created a very compact movement for the RM 70-01. 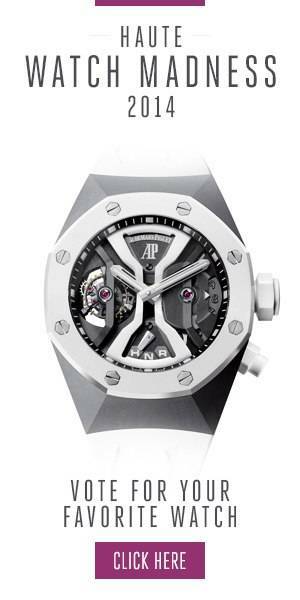 Nevertheless, it features not only a tourbillon but also provides you with a 70-hour power reserve. The entire movement construction is focussed on shock resistance, as the watch is equipped with a free spring balance with variable inertia and KIF Elastor shock protection. Eye-catcher is also the unique shape of the case, which is an adapted tonneau-shape so it can be worn on the right wrist leaving enough room for it to move freely when on the bike. For that matter, the RM 70-01 is also very light, with a case made out of Carbon TPT, and the movement not only skeletonized but also crafted from titanium. The price of the new RM 70-01 Tourbillon Alain Prost, limited to 30 pieces, is $815.500,- and includes not only the watch but also a bespoke bike by the famous Italian bikemaker Colnago. These handmade bikes where developed together with Alain Prost and Richard Mille and painted in the watchmaking brand’s colors.